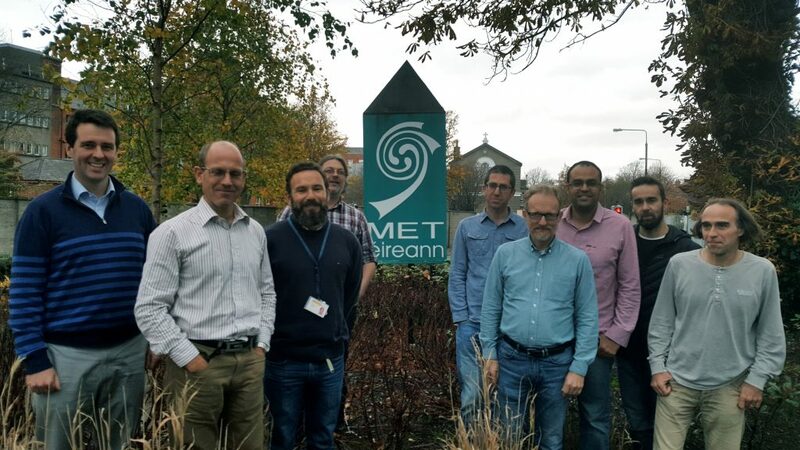 Met Éireann is hosting a meeting of the HIRLAM System Core group in Dublin this week. The System Core group are responsible for the maintenance of the HARMONIE weather forecasting system used by Met Éireann and other European weather services. Eoin Whelan, Met Éireann’s Senior Researcher, contributes to the work of this group. This week the group from Finland, the Netherlands, Norway, Denmark, Sweden, Spain and Ireland are preparing for the release of the next HARMONIE model version for use by our forecasters and researchers.